"The locket is 18 years old. Not sure why it doesn't have a photo in it. It's part of a huge collection of jewelry I own. I try to wear a different one every day." "I've kept this in my pocket for about 3 years. I like to use it to capture my friends having fun. I look forward to look back on the photos in about 20 years time to a time when I was young.. so it's kind of like a time capsule. The tape is because I keep dropping it." So proud to have my project featured on the main Behance gallery! This is a very proud moment as it’s something I’ve been working towards for a while 😌😌 Thanks to everyone for the lovely comments and support, I’m going to go dance for a bit now, hehe. Excited to share with you my latest design project. 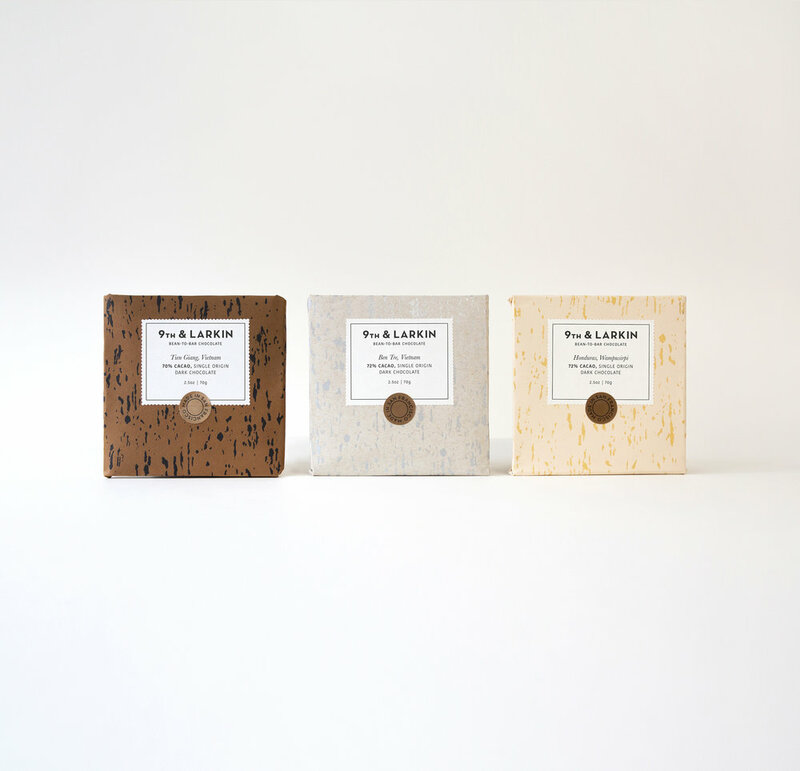 San Francisco based, bean-to-bar chocolatier, 9th & Larkin pride themselves in hand-crafting each and every chocolate bar, directly from the raw cacao beans they source from regions all around the world. 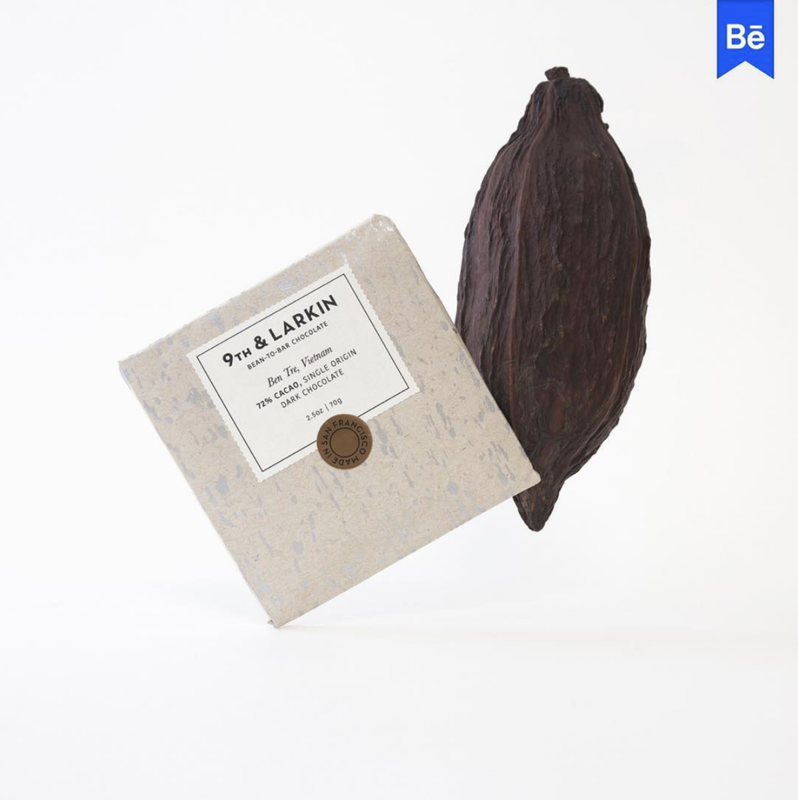 In order to create a packaging design that would reflect the rawness of their product, it felt natural to turn to the point of origin of the chocolate: the cacao pod. The dried skin of the cacao pod provided a striking, one-of-a-kind pattern that was then transferred on to silk for screen printing. The resulting effect; a unique and tactile texture that resonates the chocolate’s call to nature. "My grandma always told me to never cut my hair. She had to have hers cut after having a stroke, which is something she always regretted. I haven't cut my hair for 8 years and always keep a hair bobble on my wrist to remind me of her." "I was completely drunk at a festival in Amsterdam a few years ago, when a girl skipped up to me and gave it to me. I remember thinking she was like an angel. I've kept it in my wallet ever since." "I work in a nightclub. It can get pretty messy at times, so I make sure I always keep a packet of gum with me. I don't chew gum any other time, just at work." "This origami heart is made from a Chinese Jiao. A student gave it to me while I was teaching English there." "For my love of all things textiles. Hooky and Proggy mats were a common sight in working class homes in the North East of England until the mid 20th century. The mats were made from old sacks and recycled fabric to keep floors warm before homes had carpets. 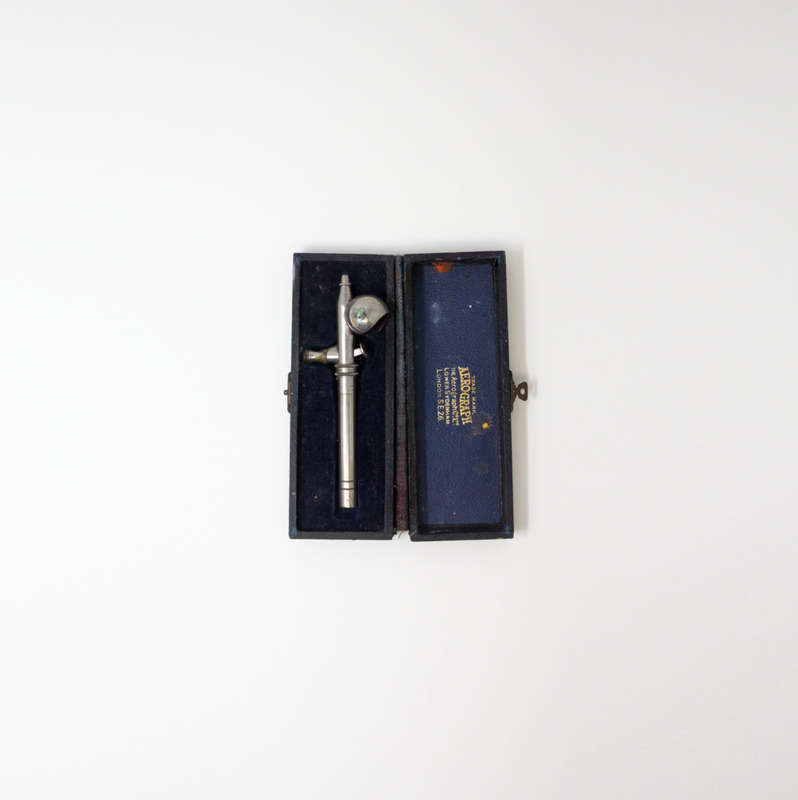 I teach proggy classes, so this tool has been used to teach children and rekindle a passion in the older generations." "The building I was in at the time was moving location, so there was quiet a lot of boxes filled with unwanted items to give away or sell. I found this vintage hairdryer in amongst it all and kept it for some reason. Maybe it was the beauty of the thing, maybe just a bit of nostalgia.. who knows but I still have it here in my drawer incase I might need it some day..."
Some people get a bit funny about shower caps. I mean, they’re not the most beautiful thing in the bathroom.. well maybe not for you. But to me, they are really interesting! I love the shapes and patterns created within the folds. If you didn’t know what it was, do you think you’d see it differently? This dead rose is a reminder that beauty knows no time. Some people think their peak was in their twenties or early thirties, but I don’t think beauty holds a boundary of time. Society leads us to believer we have to get rid of our wrinkles and dye our grey hair in order to look younger, brighter and fresher, which will then make us appear more beautiful. This is a lie. Real beauty is about waking up, looking in the mirror and choosing to love what you see. There’s something that fascinates me about eggs. Maybe it’s their strong, structural shape, which is actually purely natural. Maybe it’s the fact that they contain a life within them, or at least the beginnings of a life. I love the natural patterns and shapes created in their outer-shell. For you, this tube of medicinal cream might be a bit boring. Maybe you even question why I’ve photographed it. Prepping for my show this weekend, I'm super excited! If you’re in Newcastle come along to Ampersand Inventions in the Commercial Union House across from the Tyne Cinema. I’ll be on the fourth floor for the Late Shows. Oh, and don't forget to bring an everyday object for me to photograph on the night. More information on that coming soon! So excited! My prints have arrived and they look stunning. Thanks to Zabbage for printing them. These are giclée printed on Hahnemühle 100% Cotton Photo Rag. Signed limited edition of 5 each. Let me know if you’d like one. Sometimes when people ask “so what kind of photography do you do?” My response is usually that I’m one of those weirdos who takes photos of people’s objects. I just love the look on their faces and the “oooh.... that sounds interesting...” response. This is an oyster shell from a box of oysters bought at the market this week. After eating the insides, I couldn't help but take photos of them (as per usual). It's a joy to admire the startling contrast between the soft, elegant pearl texture on the inside and the hard, rugged exterior. Here's a work-in-progress shot of another clay torso I'm working on. It's just an experimental piece but I really do enjoy working with clay, the way it feels so natural and earthy.